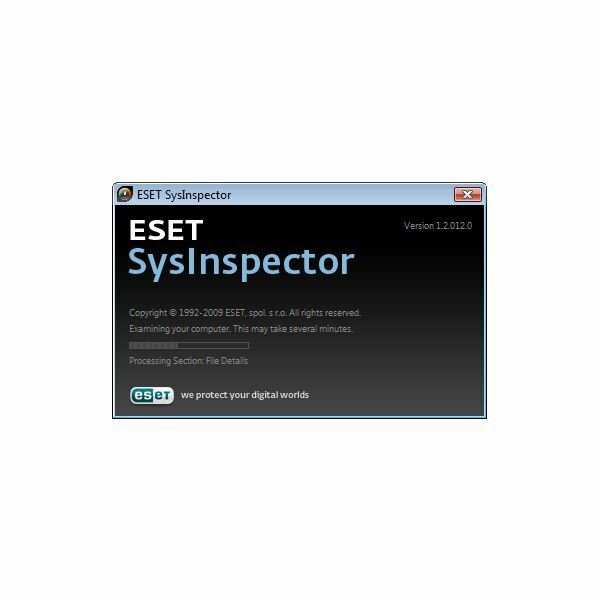 ESET SysInspector - Need It or Leave It? ESET SysInspector – Need It or Leave It? ESET SysInspector (SI) isn't a program that installs (called portable). Instead, when you run the downloaded file, it scans your computer for useful data, like running processes, network connections, important registry entries, etc. Then it is displayed in a simple window for you to examine. Note that it doesn't give you much help in deciding what to do; you have to have sufficient knowledge to identify and deal with problems. 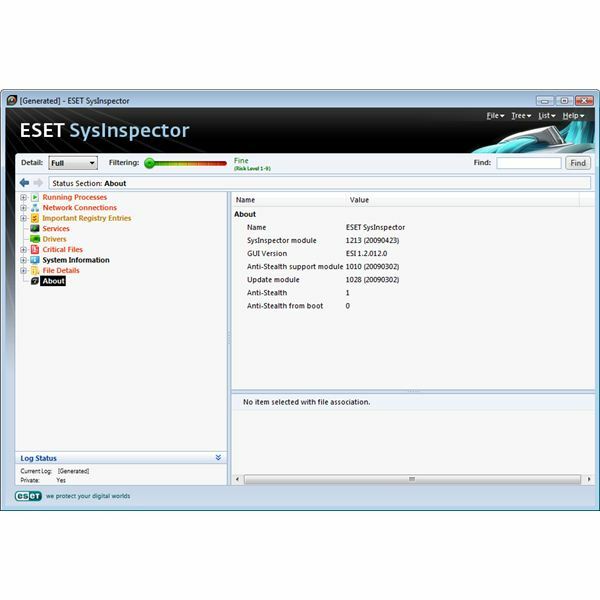 ESET SysInspector's GUI is clean, and is easy to use. When you start the executable file, it starts a scan which will run for about 30 seconds to 1 minute (probably depending on whether you have a lot of things to scan). So far, there is no user interaction needed except the run the file. Once the report window opens, you can adjust a color-coded slider to exclude entries rated as less dangerous. SI is quite easy to use; understanding the information it gives you is a different matter though. She might mess around and finally delete it (and it could be a necessary file), or ignore it because she doesn't know what to do (and it could be a malicious file). But for others, it can be a wonderful center for data they need or want. 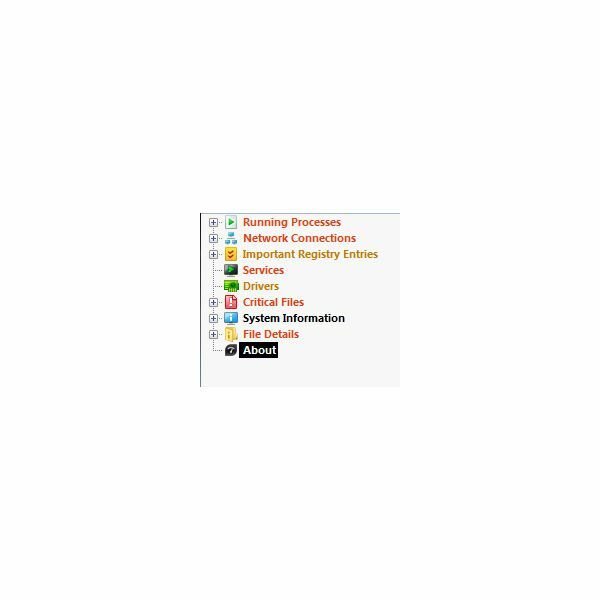 I know that I have found the "Important Registry Entries" section informing, and "System Information" provides nice exact details on the computer's specifications. So SI is not for the average user, but for others it can be a jewel. Though ESET SysInspector doesn't do much besides give information, it is still a useful tool to have. Even more so because it is portable, which is a big plus. This program is going right into my USB flash drive, where I store any helpful applications that can assist me in fighting any malware my friends have picked up. Are you going to just let it collect dust?